If you have kids, you likely know the often chaotic and always constant routine of running around to sporting events, school obligations, playdates, and a myriad of other activities. Add to that scheduled and unscheduled doctor appointments for both you and the kids, and you can kiss any personal time away. Regular dental visits are critical to maintaining oral health, regardless of age. As early as age one, the ADA recommends that parents start taking children to the dentist. Rather than further complicating your schedule by visiting different dentist offices multiple times a year, you can visit one family dentist who addresses the needs of your entire family in one comprehensive visit. Think of it as one stop shopping but for oral healthcare! When you have a full-time job and are raising one, two, or even three or more children, finding time for dentist visits amidst sport practices, PTA meetings, and work deadlines can be a challenge. A family dentist will provide comprehensive care for your entire household at one convenient location, saving you time and trouble. While other types of dentistry restrict care to specific audiences, family dental practices provide a variety of services for both children and adults including preventive care (checkups, x-rays, cleanings), restorative work (fillings, crowns, bridges) and even cosmetic treatments (teeth whitening, veneers). Some family dentists even offer specialized treatments for patients with more advanced dental needs, such as implants, TMJ, and Invisalign. They offer solutions to the unique requirements of family members of all ages. When searching for a dentist, parents look for someone they can trust. After all, nothing gives a parent greater comfort than knowing their children are in capable hands. Like all dental professionals, family dentists complete a rigorous dental school program that includes both coursework and clinical experience working directly with patients. To become licensed to practice in a state, graduates must pass the National Dental Board Examination. When you visit a family dental practice, you can rest assured that you and your family are receiving dental care from a qualified and experienced dental professional. For a distinct population of child and adult patients, visiting the dentist can be a terrifying experience. Despite frequent reassurances from family members and friends, they may dread an upcoming visit and panic in the dentist’s chair. Older family members may even actively avoid visiting the dentist due to an overwhelming fear of dental exams. In addition to possessing a dental education, family dentists understand the different approaches to making patients of every age comfortable before and during a visit. 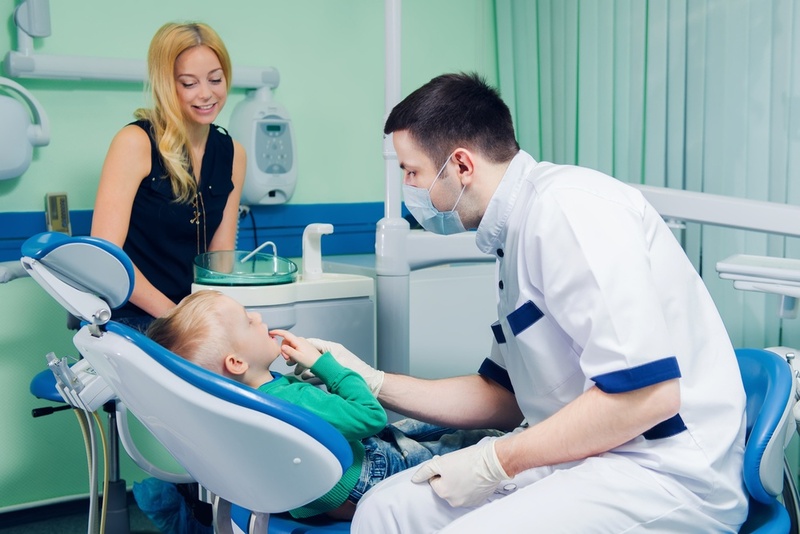 While expert care in addressing dental needs is important, adults and especially children need to also trust and feel comfortable with their practitioner. When a calm and trusting rapport is present, patients find it easier to relax during the visit and understand any instructions they’re given about upcoming visits or an ongoing treatment plan. 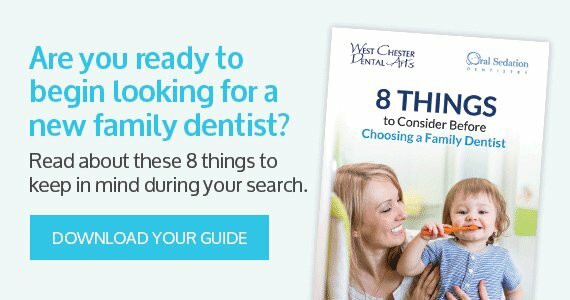 West Chester Dental Arts offers quality care with a personal approach for the whole family. As a complete source for dental care, you can maintain regularly scheduled appointments for your whole family at one location, eliminating the stress of driving to different locales. We even specialize in oral sedation when a gentle bedside manner is simply not enough. Check out our services and staff by scheduling a free x-ray, exam, and consult here or calling us at 610-696-3371.